We used to joke that we could write a 'good hospital' guide. George was treated at Kingston Hospital, Great Ormond Street, St Georges, The Royal Marsden, UCH, The New Victoria, Parkside, St Anthony's, Frankfurt University Hospital in Germany and the Fuda Hospital in China. Finally he was treated at the hospital of mum and dad, at home in Surbiton, for the last few months of his life. It wasn't just the hospitals, George could write a text book on cancer treatments. He endured many different chemotherapies, radiotherapy, numerous rounds of surgery (including three lots of jaw reconstructions), immunotherapy, photodynamic therapy, chemo-perfusion, brachytherapy, cryoablation, metronomic chemotherapy and Coley's toxins. The osteosarcoma was not his first cancer, he was diagnosed with rhabdomyosarcoma on his second birthday, and a basal cell carcinoma at 15. Once he got the osteosarcoma he was tested and found to have Li Fraumeni Syndrome (a defect in the TP53 tumour suppressor gene). If his life was lived in the shadow of cancer, he certainly didn't let it define him. He was not in the least bitter and twisted. He was a happy, positive and sweet-natured kid. His unfailing good humour and ability to joke around made it all bearable. He could keep going when most of us would have collapsed and given up. I don't know where he got his strength and his ability to keep going, it astounded all of us, family, friends, doctors and nurses. We talked once about tough guys and gangsters, and I told him that he had a toughness and inner strength that even the hardest core gangsters couldn't dream of. And it was true. He was the bravest and most courageous person I have ever known. 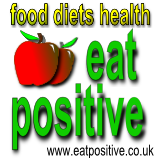 The site will include commentary on cancer research, information on supplements and treatments, diet, details of George’s story, relevant book reviews, links to useful sites and other information that cancer sufferers may find useful. Links to my own research publications related to cancer - both peer-reviewed journal articles and more popular pieces, can be found here. Additionally we have created a charity in his name: The George Pantziarka TP53 Trust which exists to support families and individuals with Li Fraumeni Syndrome and related conditions. The Trust also has a Facebook page - so please drop round to take a look. George's friends have created a Facebook group to share memories and post messages of support. Please feel free to take a look to learn a bit more about what sort of a person he was. There is also a book about George and what he experienced - 'For The Love of George' is a tough read but tells the truth about what it's like to live with Li Fraumeni Syndrome and multiple cancers. He is greatly missed by us all. The opinions expressed on this site are my own and do not represent any other organisation or project with which I am involved.